Zollhafen Mainz is about to gain a new landmark: ZigZag is a unique office complex being built in the north of the new district of Mainz. 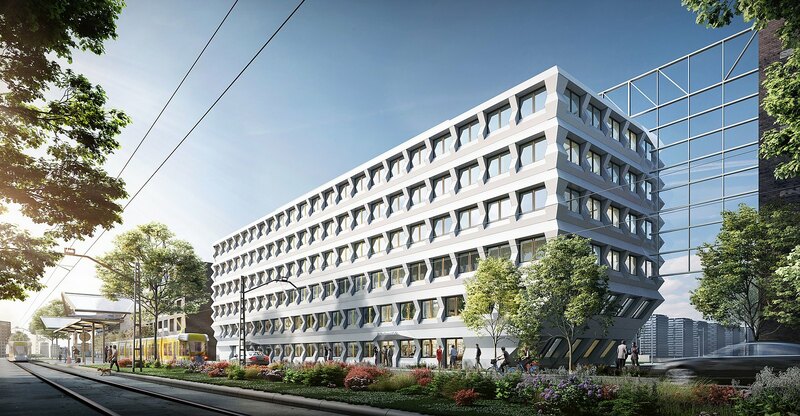 With a location right by the harbour basin of the Rhine and a spacious public square in the planning, these will be offices with style. An imaginative office concept inspired by the special waterside location, combining living and working space in exemplary fashion, is envisaged for ZigZag. ZigZag has been started in 2018 with the construction start of a block section. Trams will stop in front of the building, with the city centre just minutes away. Frankfurt Airport and other destinations in the Rhine-Main region are easily accessible via direct motorway links. 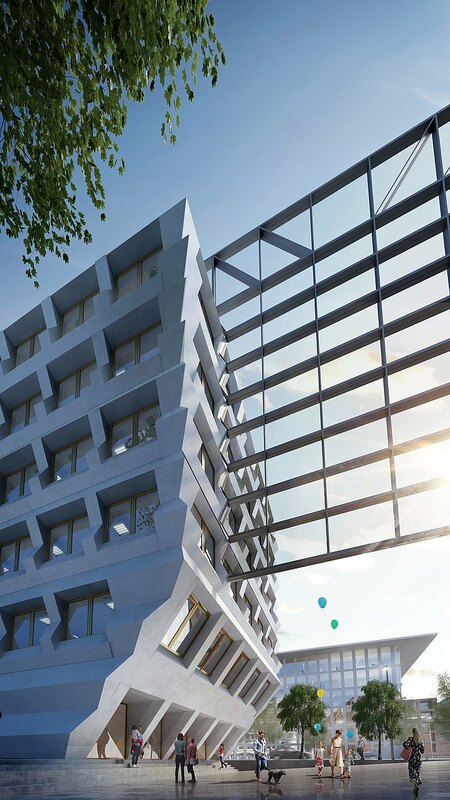 The block section of ZigZag will form an efficient, young and contemporary office building. There are also plans for a café on the ground floor with seating on the square in front of the building. The rented areas will have a modern design that exudes a creative appeal. The space concept aims to realise open areas for meetings and contact alongside separate offices and private rooms. In common with all new buildings by CA Immo, ZigZag will be planned and constructed in compliance with stringent sustainability criteria. Do you have any questions, or need more information on ZigZag at Zollhafen Mainz? Simply contact us!